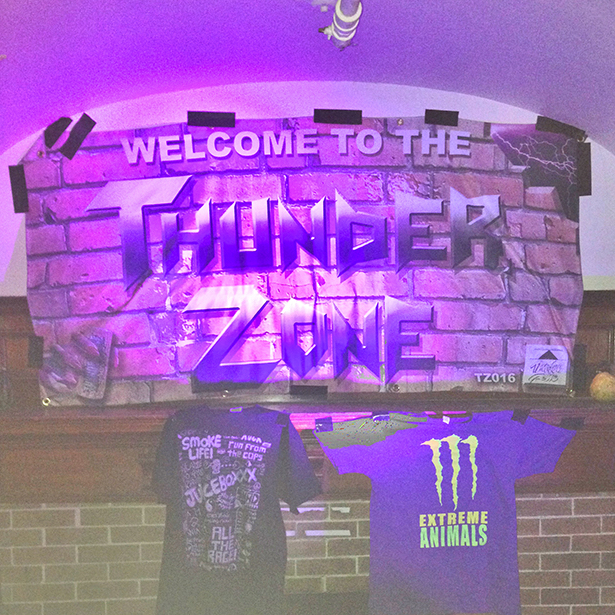 DESIGNED BY JACOB CIOCCI FOR THE THUNDER ZONE TOUR. ONLY ONE MADE EVER. AN IMPORTANT ITEM IN THUNDER ZONE HISTORY. ROCK AND ROLL WILL NEVER DIE.